Spring training is generally bad. Sure, it’s baseball, but the results don’t mean a thing and players get injured. Spring training also spawns and fosters ridiculous discussions about roster spots and playing time. Remember Hector Gimenez? How about Brian Barden? This year, it’s Rob Segedin and Trayce Thompson. That might be unfair to Thompson, who is actually a solid prospect (No. 16 on my Top 100). But many folks are now wondering if Thompson is a better option in center field than Joc Pederson. It’s a somewhat valid question, but the arguments for Thompson are based solely on what he has done in the first almost three weeks of spring training. Thompson is 7-for-31 (.226) with a double, triple and two home runs. While it isn’t an overwhelming stat line, the fact that he is hitting the ball hard and playing a great center field is something fans and others will grab onto. He’s a solid prospect, but let’s not forget Pederson and his overall ability. Yes, Pederson’s second half was dismal — putrid, even — but he came up through the system with a lot of acclaim and just because Thompson is the flavor of the month doesn’t negate what Pederson has done. And while we’re talking about virtually meaningless numbers, Pederson had significantly better numbers in the minors than Thompson. Thompson’s debut last season was impressive (.295/.363/.533 in 135 plate appearances), but it’s an outlier compared to his minor-league career. He never posted numbers as good as that in any MiLB season. You can chock that up to most of his damage coming in August (35 PA, .469/.514/.844) and not September (100 PA, .233/.310/.422). It took all of 35 plate appearances for Thompson to come back to earth a bit. That isn’t to say his potential is absent, but he likely isn’t a first-division center fielder. He might be the perfect platoon partner for a left-handed hitting center fielder who cannot hit left-handers. Perhaps that is this team, but it’s too soon to make that claim. This is more about Pederson’s strikeouts and perceived struggles with his new setup/stance rather than Thompson’s performance to this point. 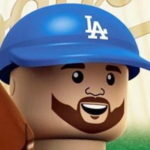 I agree that Thompson deserves a long look at a 25-man roster spot, but with the $40 million left field that is Andre Ethier and Carl Crawford, there isn’t much room for him as the roster is currently constructed. He’s the best defensive center fielder in the organization (yes, better than Pederson), but Pederson isn’t exactly a slouch out there. Pederson isn’t going to get better if he isn’t playing in the majors. If he were (foolishly) optioned to Triple-A, he isn’t going to learn anything. He’s way too good for that level of competition, would destroy opposing pitchers and fall back into the same habits that has him in his current situation. The only option with Pederson is to be a nearly full-time center fielder in the majors. Turner Ward did some really positive things with the Diamondbacks, and there’s no reason to think he won’t be able to get Pederson sorted out. “Dodgers manager Dave Roberts headed off speculation by declaring on Friday that Joc Pederson is his center fielder. Roberts was only announcing publicly what he had already told Pederson before Spring Training even started. It’s nice to have options, but Pederson’s track record outshines Thompson’s in almost every way. Pederson is figuring things out. Chad is right to be mildly concerned about Pederson’s indecisiveness with his stance, but I’d bet on talent winning out here. Pederson has more talent than Thompson, even if Thompson is more athletic and intriguing. The Dodgers know this. So, don’t be surprised (disappointed?) when Pederson is starting in center field for the Dodgers and Thompson is starting in center field … for Oklahoma City.